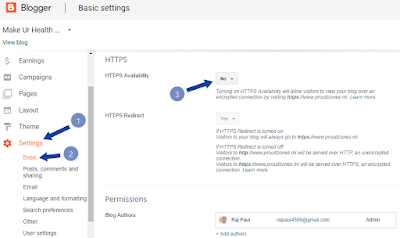 1.1.1 How to Setup HTTPS in Blogger? Are you looking for the legitimate ways to get a free custom domain for your blog? Well, if you are then let me tell you that there are different ways you can setup free (.tk, .ml, .ga, .cf, etc.) Domains for your blogger blog. In order to set up a free domain name, you don’t have to spend a single penny, all you need to do is create a free blog and follow the necessary steps for setting up the free domain with blogger. Here in this tutorial, we will show you one of the simple methods to integrate your blog with free domains. For your ease, I have divided the tutorial into two parts. In the first part, I will be showing you the method to purchase a free domain and in the second part, we will set up the domain with blogger. First of all, you need to visit Freenom.com and then perform the below steps. 1. 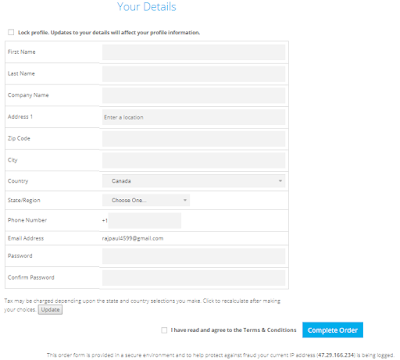 Enter your desired name in the “Find a new free domain” field and click on “Check availability” button. 2. Now a list of free domain names will appear with .tk, .ml, .ga, .cf domain extensions. Choose your desired address and hit the “Get it now” button and click on “Checkout”. 3. Select the duration of the domain name as ” 12 months @ FREE” and click Continue. 4. Now you need to sign up using your Gmail or Social Media account to review and check out the domain. Enter your Gmail address and click “Verify my Email address”. 5. A verification link will be sent to your given Gmail account. Open your Gmail address and click on the verification link to verify your email address. 6. After verifying email, you will be redirected to the final review and checkout page, where you need to add your personal information and click on “Complete order”. 7. 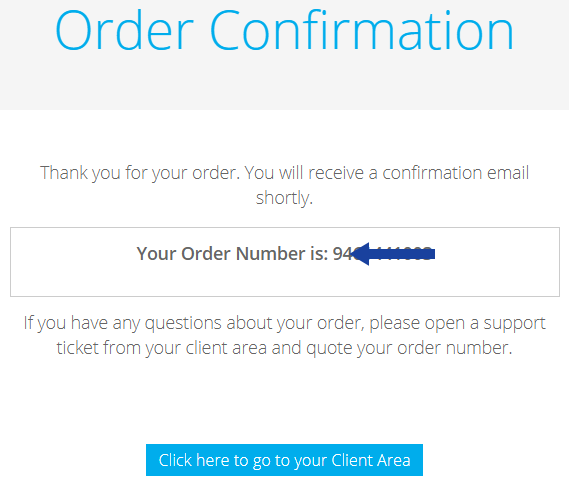 Order confirmation is complete and now they will provide you a unique order number for the free domain. Now, hit ” Click here to go to your client area”. Congratulations! You have successfully booked a free custom domain name and now, we need to integrate the domain with blogger using the second part. 1. 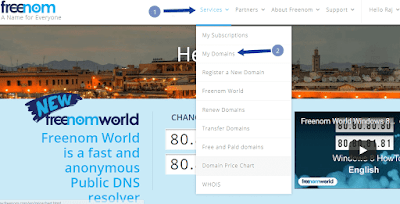 Login to Freenom, go to “Services” and click on “My domain”. 2. 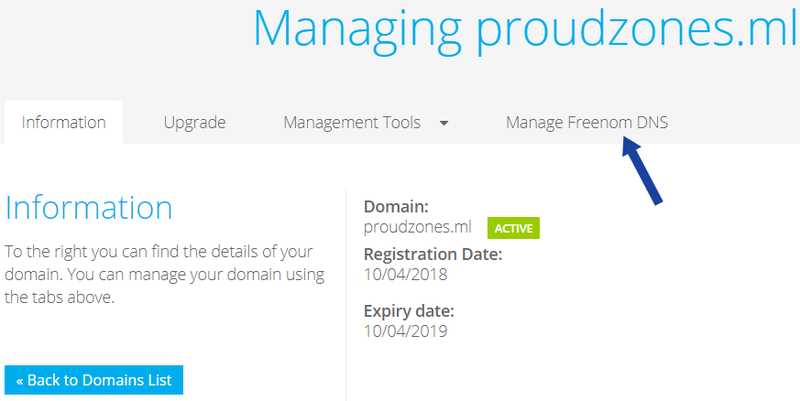 Click “Manage Domain” button. 3. 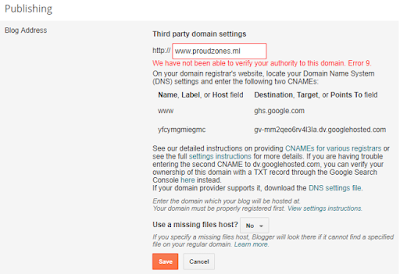 Click on “Manage Freenom DNS” and you will see “No records to display” text. 4. Now we need to Add new records to DNS Management for connecting your domain with blogger. First, you need to add 4 “A” records and then 2 CNAME records. Copy the A records and paste, same as the below picture. Leave name section as blank, Type and TTL as default. 5. 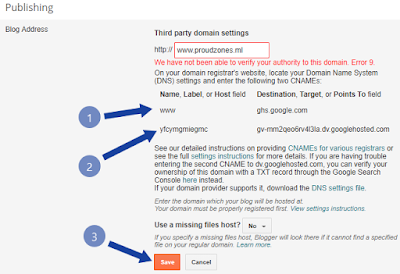 Now, login to blogger, go to Settings > Basic and under publishing click on “+Setup a 3rd party URL for your blog”. 6. 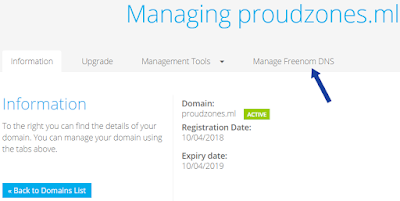 Add the Freenom domain name including “www” like this “www.proudzones.ml” and click save. 7. It will show Error 9, don’t worry, everything is under control. 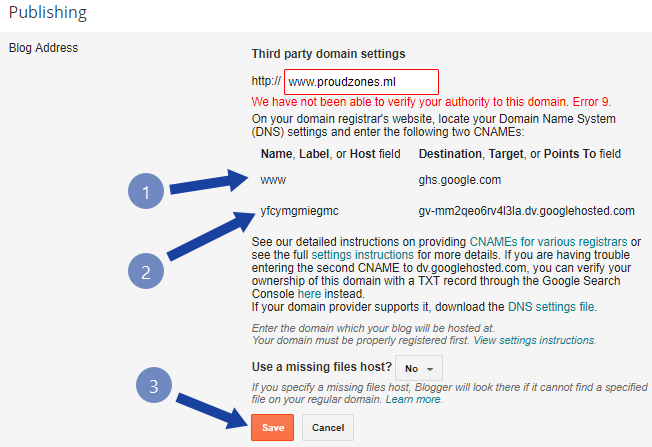 Copy the 1 and 2 CNAME and go back to Freenom DNS Management page. 8. Select Type as CNAME and do the same as the below picture and hit Save. 9. Now, go back to Blogger > Settings > Basic > Publishing and click Save. Congratulations, You have successfully configured Freenom domain name with your blog on blogger. Now, your blog will look like this “http://proudzones.ml/” which is served as an unencrypted connection by default blogger. But, thanks to Google because, Now Blogger has officially made “https” available on every custom domains for using a free secured encrypted connection. How to Setup HTTPS in Blogger? 1. 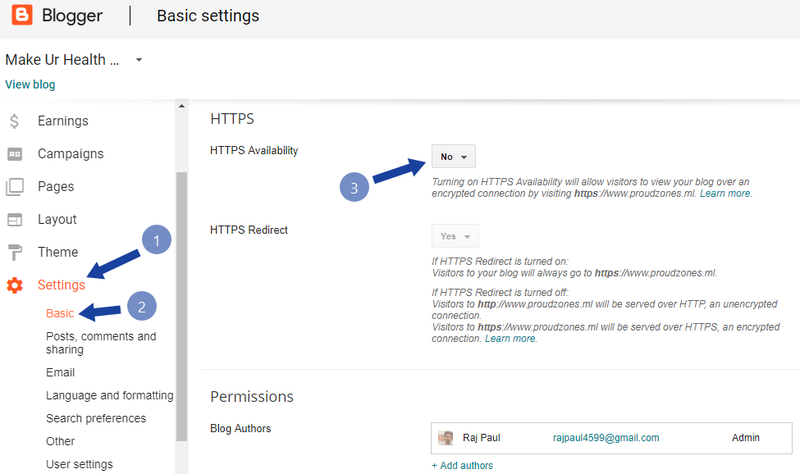 Login to blogger and go to Settings > Basic > HTTPS and then make “HTTPS Availability” as “Yes”. 2. Now you need to wait for a while to let your blog transfer from HTTP to HTTPS. It will hardly take around 30 sec. to 1 minutes, till then keep reloading the page and once processing is been completed, select “Yes” in the “HTTPS Redirection”. 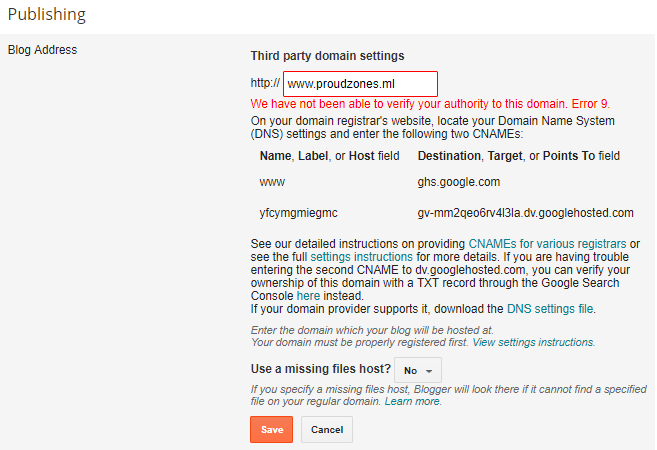 Now you’ve turned on the HTTPS on blogger free domain name. Well done! 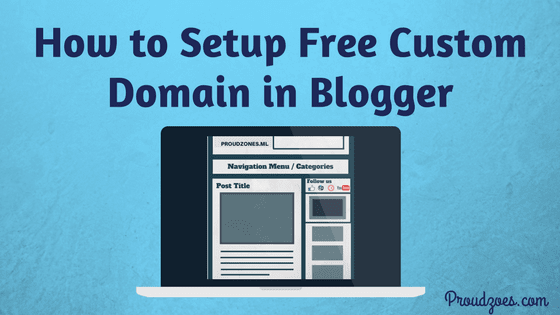 You have successfully setup a free custom domain name for your blogspot blog. Freenom domains also can be used in creating websites, E-commerce, and it’s compatible with every blogging platforms. You can also renew your free domain for the next 12 months as soon as it gets expired. Now It’s your turn to share this post and share your opinions and doubts in the comments section below.